President Dwight D. Eisenhower warned against it during his last speech before he left office.... He was a part of it. He grew with it's construction. He also knew what it was capable of. In today's terms, we call it "War For Profit." I saw a movie one time called "War, INC." where a war had been totally outsourced to a 3rd party corporation. All the way from the bombing, invading & policing to the rebuilding and the creation of a new government. It sounds a lot like what the United States did in Iraq, Afghanistan, & more is to come I'm sure. the "War For Profit" thru the Military Industrial Complex. Now, with that being said, Is it really needed? Well, let's try to understand what it is. 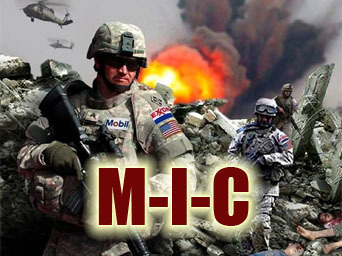 What Is The Military Industrial Complex? It's as simple as this. Our country is a corporation. A corporation lives off of profit. Import vs. Export, Consumption vs. Production. One of the biggest money makers is defense. War is a big business. New Military Technology is made only through trials conducted during war. Well, you have to have a reason to go to war. The National Defense Budget towers over any other budgets which are voted on in Congress. It's money. It's all about money... Why? Unfortunately money is what makes the world go round. Who owns all this money? Well, the taxpayers of course. You & I. Who takes this money? The government. Who do they give it to? Defense Contractors who are usually owned or partially owned by very influential business men and even some political leaders. Are you starting to see the circle which this encompasses? Are you starting to see why this is a big business? In the United States, we have virtually outsourced all manufacturing our country use to offer. Almost all of the production. All there is left is defense, insurance, marketing, politics, & retail. We are slowly moving from being a producing nation to being a consumer nation. I'd give it ten years, and we'll be totally dependent on foreign products. We still have defense though. Hmmm... How can we make defense turn into a producing entity? Well, yes that's right, War For Profit. Not only that. I just thought of this sitting here. Another Page which is on here is about the New World Order. I've often tried to figure out why and how it would all be accomplished. Well we might already be in it. The rest of the world produces all our goods and products. We just provide the police force to make all these smaller nations abide by the rules. Hmmm... Seems like a pretty safe gamble. Well I must say in the current state we're in, We have to keep The Military Industrial Complex. There's no way around it now. We're too far into this.. Is it really too late? Mr. Hillenkoetter was the 3rd Director of the C.I.A., & was the 1st Director which was created by the National Security Act of 1947. After retiring from the Navy, He sat on the board of the National Investigations Committee on Aerial Phenomena from 1957 until 1962. 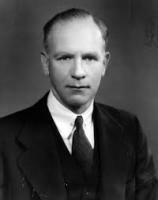 During World War II, Mr. Bush headed the United States Office of Scientific Research & Development, & Dealt with mainly R&D including the Manhattan Project. 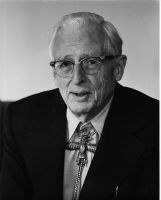 He was the inventor of the memex(a microfilm reader), as an engineer, aided in the development of analog computers, and founded Raytheon. He was a member of the Electrical Engineering Department at M.I.T. & he was the founding mind behind digital circuitry. He was later appointed to the National Advisory Committee as well as chairman of the National Defense Research Committee & later on Director of the Office of Scientific Research & Development. The world's 1st supercarrier was named after this Admiral, the USS Forrestal. He was a big supporter of Naval Formations & Battle Groups of Ships at Sea. 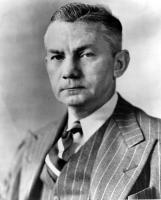 He even has part of a campus named after him at Princeton University in New Jersey, James Forrestal Campus. He was also murdered. A Great Tactician and Naval Commander, He held the office of undersecretary of the Navy. He was also known for his colorful way of making things real. 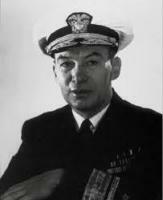 In 1944, he was appointed Secretary of the Navy. He lead the Navy through the grueling latter portions of World War II and the final battles in the South Pacific. Mr. Twining was the Chief of Staff of the United States Airforce, 1953-1957, as well as Chairmen of the Joint Chief's of Staff, 1957-1960. 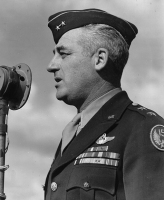 He was also the 1st member of the United States Air Force to hold the Chairmen position. Descending from a long list of military family men, He started out in the Oregon National Guard and in 1917 received an appointment at West Point Military Academy. He graduated in 1918 and became an officer with the Army. While serving in Europe, Mr. Twining decided to join the Military Air Service(Later to become the United States Air Force). In the beginning of World War II, Mr. Twining was sent to the South Pacific Theater where he became the Chief of Staff of Allied Air Forces in the South Pacific Theater. Assigned to study UFO reports in 1947(The year of the Roswell Crash), he initiated "Project Sign" which was a task force committee to review the phenomena. 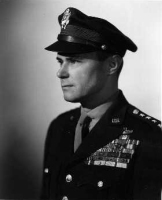 Hoyt commanded the Nineth Air Force as it's commanding General during World War II, stationed in England & France from August 1944-Victory Day May 8, 1945. He became a commissioned officer in the Air Service after graduating from the United States Military Academy on June 12, 1923. His 1st assignment was with the 90th Attack Squadron and on January 1, 1926, became it's commander. With several decorations and raises in rank, He was promoted to Colonel at the brink of World War II where he became Operations & Training Officer of the Air Staff where he received the Distinguished Service Medal. After the war until 1947 he held the office of Director of O.S.S. & then Director of Central Intelligence. He became the Chief of Staff of the United States Air Force in 1948 and served until 1953. Detlev served as the President of Johns Hopkins University from 1949-1953 & President of The Rockefeller University from 1953-1968, using his talents as an educator, administrator & scientist. He was descended from Jonas Bronck, the person the New York Bronx is named after. He established Biophysics as a discipline and was it's leading proponent and was awarded the Public Welfare Medal from the National Academy of Sciences as well as the Presidential Medal of Freedom by President Lyndon B. Johnson, who also nominated him as a member of the National Aeronautics and Space Council Later to become the National Aeronautics & Space Administration(NASA), as well as an advisory member of the Atomic Energy Commission. President of the Goodyear Zeppelin Co., Aerodynamics Engineer, M.I.T. Instructor, and he was a member of the joint Army & Navy Technical Board as well as a member of the Inter-Allied Naval Armistice Commission. He was the senior Engineer designing Air Ships as well as New Prototype Airplanes for the government. Key Individual for the birth and nurturing of flight. Mainly known for being the 1st appointed director of Central Intelligence after World War II, He came from the Navy where he last served as a Rear Admiral & Deputy Director of Naval Intelligence. Relieved of Duty in 1946, Between the years of 1947-1950, He held the office of Executive Secretary, National Security Council. From 1950-1953 He was the Special Consultant to the President on military & foreign affairs. Mr. Gray served in both the Johnson & Eisenhower administration as an official with an emphasis on Defense & National Security. Entering the United States Army in 1942, Mr. Gray completed a task not many are capable of. He rose from a Private to a Commissioned Officer & became Captain where he served under General Bradley. Nominated by Johnson as the Assistant Secretary of the Army in 1947, & held the office of Secretary 2 years later, which ended in 1950. After this, he became director of the Psychological Strategy Board, coordinating psychological operations on both nationals & internationals. He was key in the revocation of Robert Oppenheimer's Security Clearance(you know the man who developed the atomic bomb and was later accused of being a communist). A Big supporter of private education, Charles Erwin Wilson named Gray Assistant Secretary for International Security Affairs, which ended his ties to Academia. 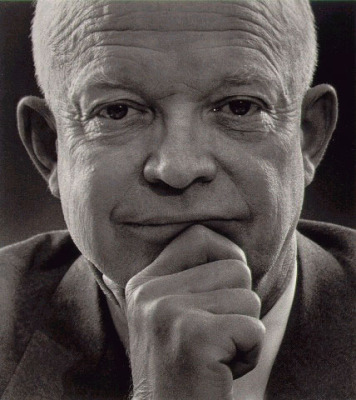 He held the office of National Security Advisor from 1958-1961. He served under 4 more presidents as the President's Foreign Intelligence Advisory Board. 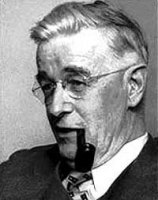 Along side his cryptic national service in the Intelligence field, He was also the publisher for the Winston-Salem Journal & the National Trust for Historic Preservation. Originally from Colorado, Mr. Menzel was one of the 1st Theoretical Astrophysicists & Astronomers. A child prodigy, at the age of 16, he enrolled in the University of Denver for study in Chemistry. With a hobby developing in cryptanalasysis, He was asked to join the Navy as Lieutenant Commander to orchestrate an intelligence detail deciphering enemy coding. He was on every expedition to the middle of nowhere to observe any kind of spacial phenomenon from Solar Eclipses, Aurora Borealis, & Radio Wave Emmissions from the Sun and their disruptive effects on Earth. From 1964 until his death, he retained status as a U.S. State Department Consultant for Latin American Affairs. As far as UFOs & "created" Aerial Phenomena, Menzel was very much a skeptic & never veered from his personal conviction on the matter. Holding the rank of Lieutenant General in the U.S. Army, he achieved the status as Deputy Commander of Fort Bliss, Texas & Commander of the Sandia Missile Base in New Mexico In or around 1947 at the start of the UFO age beginning with the Roswell Crash in New Mexico. He was also head of the U.S. Caribbean Command starting in 1957. An Instrument developer from Milwaukee Wisconsin, most influentually known with his studies of the ionosphere & short wave radio. In 1958, he was appointed as a member of the President's Scientific Advisory Committee at the same time president of Associated Universities Inc. 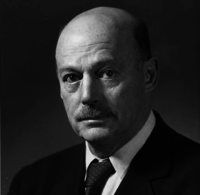 He was a leading proponent factor, as a Naval Officer, in the development of Navigation Systems & radar in aeronautics which led to the development of the Distant Early Warning System(a series of stations with active radar mapping the North Pole to detect a Missile Launch Event from the Soviet Union. Along with L.C. Marshall, they together formulated a theory and began it's research on the atmospheres of the inner planets of the solar system evolved in 1963. A Big advocate for space research, he also sat on the Presidential Advisory Committee & President of the Institute of Radio Engineers. They were all in some Technical Field & or Science with fields of study from Aeronautics, Aerodynamics to Radio Waves & Natural Aerial Phenomenon as well as Investigating Non-Natural Aerial Phenomenon or UFOs at some point. They are all connected to the military i.e. Army, Navy, or Air Force. The only reason I believe the Marine Corp is not mentioned at this time, is because they were still taking direction from the Navy prior to Vietnam. Those in the military, Held the rank of Captain or above & at retirement were all part of some advisory position to the Presidency & White House. They all had connections to LBJ(Linden B. Johnson)-who I believe had a hand in the Kennedy Assassination & set in motion a coup d'etat in the United States of America. Which we will delve into deeper in another segment of the website. This was in 1960! It took A Military Industrial Complex to defeat Hitler & stand up to the Communist Soviet Union afterwards. It was a conglomerate of fast tracked industrialization in the U.S. that created this. It was a necessity of the time. But, they needed to be kept in check says D.D. Eisenhower. Who Created Hitler & The Soviet Union? I know you are wondering. What does Majestic 12 have to do with the Military Industrial Complex? Majestic 12 has never been proven. Some documents were released some years back, speculating the groups existence, but only concerned research on supposed UFOs. Not only is the Government's Intelligence Branch good with gathering the Truth; "They" are also equally as good at planting dis-information for the purpose of mis-direction. Now OBVIOUSLY these men during their era of influence worked together. All of the above information I took straight from Wikipedia for one purpose. To show they worked together. At this point, we don't have to know what were they working on, we just have to prove that they worked together. President Eisenhower, in his fairwell speech, tells the viewer flat out, the goings on of The Military Industrial Complex. There is no denying that. His farewell speech was in 1960. The above 12 were in the height of their careers at this point. The Military Industrial Complex can not be governed by a single person or 2 people. It would take a board of Directors to control something that big and they would need complete plausible deniability. Die Glocke(German for "The Bell"), a top secret aircraft designed and manufactured towards the end of the war. It was in the category of a secret weapon, or Wunderwaffe to the Germans. Most known for it's ability to defy gravity & had a source of free unlimited energy. All of these things I believe are possible, they just pose certain risks to the state of our current economy which relies on fossil fuels and internal combustion engines as it's prominent cash cow. The Nazi Bell, an experimental developed by scientists working for the SS(remember the SS for later discussion on the site) at the Der Reise(The Giant) Facility near the Wenceslaus mine, next to the Czech Border. It was made from heavy metal and is approximately 9 ft wide & 12 to 15 ft tall, and shaped like a bell rendering it's name. The device contained 2 counter rotating cylinders filled with a mercury-like substance which was violet or purple in color. The code name for the liquid is XERUM 525. It was stored in a thermos like structure which was approximately 5 meters tall with a lead outer wall. 2 light metals were also used in The Bell. Thorium & Beryllium Peroxides were used & when The Bell is activated, it created an energy field extending out to a radius of 150-200 Meters from the craft. In the surrounding areas, crystal mass would form in animal tissue, blood would gel & separate while plant matter would begin to decompose into a grease like substance. Several of the Scientists working for the SS died during it's development due to exposure. 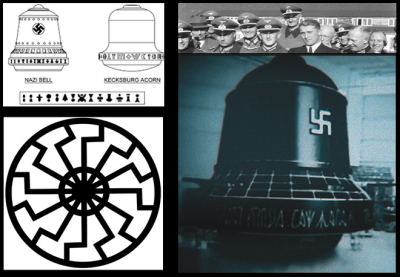 Towards the end of the war, and through Martin Boerhman's Nazi Rat Lines & negotiations made through some of the soon to be Operation Paperclip Scientists who found employment through the United States Government, The Bell was smuggled out of germany to South America by ship, and appeared in Kecksburg, Pennsylvania on December 9, 1965. At this point, I believe The Bell was handed over to U.S. Authorities in Conjunction with the Paperclip Scientists in South America. They flew it home and crashed it in Kecksburg. This is the only scenario that makes sense to me. From Kecksburg, I believe The Bell ended up in New Mexico at General Montague's Missile Base or Area 51. At this point it doesn't really matter. We're talking about a craft that can disappear and reappear 2000 miles away in a matter of seconds. The American West seems a lonely vast sea of nothingness but, with stats like that, it's only a grain of sand. fly-by-wire system which operates advanced aircraft such as the F-16, F-117, B2 & so forth. to not reveal her identity. member, "the people from the crash in 1947. They were not Green"
but more to the point American. After World War II, and all the Nazi Technology that society could not afford to lose, even though it was developed at the hands of one of the most ruthless & disgusting regimes, had to be maintained. The Allied Scientists working for The Military Industrial Complex, could not understand it all. Well, if you think about it, unless you had some sort of a schematic, and understood schematics, It would be almost impossible to repair electrical wiring in a foreign aircraft or tank, especially not an anti-gravity craft. The Intelligence Community after World War II, began smuggling not only technology, but Nazi Scientists as well. The Soviets had already made deals with some of these highly intelligent but slightly psychotic scientists, and the U.S. was falling behind. We couldn't have that, so we started recruiting these Nazi Scientists and saved them from Nuremburg and employed them in fields such as Science, Intelligence, Defense Research.... Hmmm... Employed by the Military Industrial Complex? This sounds about right. Here below is the Scientists recruited through Operation Paperclip at non other than General Montague's Fort Bliss. They shed their Nazi Uniforms of course. Front Row and 4th to the right from Center, is non other than Mr. Wernher Von Braun, the father of our United States of America Space Program. What you didn't know that Wernher Von Braun was in bed with the Nazis? Ok, He was a Major in the SS. Remember the SS through out the entire website. The Scientists didn't only work in technical fields such as Space Technology & Engineering. There is also scientists in this picture that were working with Central Intelligence on psychological warfare. One of the biggest programs developed with their influence was MK-Ultra. We'll delve into that on another page. All of this was developed, attended, and overseen by The Military Industrial Complex. To wrap it up, Majestic-12, was or may still be, The Military Industrial Complex's Board of Directors. What a beautifully orchestrated cover story, Research of UFOs & Aerial Phenomenon. The Nazi Bell fiasco certainly aided in the development of the cover story, giving them visuals which led to total plausible deniability. The documents which were found several several years ago outliningg MJ-12's purpose I believe were totally planted dis-information and the true reason for MJ-12 I have laid out here for you. The Military Industrial Complex had a mission during World War II, to defeat the Nazis. But afterwards, It did exactly what Eisenhower warned us of & is still doing it to this day. All of which could not have even been fathomed without the aid of the Operation Paperclip Nazi Scientists. You can find the MJ-12 documents obviously anywhere online, but I reccommend you do not read them as they are leaked dis-information, or at least that's my opinion on the matter.